A company with good reputation will always succeed, it is a fact that no one wants to work with a company which is not having a good name in the market. A negative post can make you apprehensive, right? It is natural to be worried if a negative review shows up. Hence, it is important to build a positive brand image online and a cordial relationship with your customers. No matter what the size of your business is, trust us for our digital knowledge that will create the most impactful online reputation for you. What is Online Reputation Management (ORM) and how does it work? If you have this idea in your mind, then this article is meant for you. There is no precise definition for this term but it can be understand as the online public relations version. Reputation is the main requirement of any company. A company with good reputation will always succeed, it is a fact that no one wants to work with a company which is not having a good name in the market. So the company management should maintain the reputation. With the advent of the smartphones , the easiest and quickest way for the people to know about any small or big company is by searching about it on the internet. Nowadays people are visiting the reviews and directories page to know more about a company rather than visiting the company directly. The visitors will go through the other user’s reviews about the company and then they will proceed to the next work. Social media is also playing an important part here. One bad review or comment can take away the potential client from a company and the sad thing is that the company won’t even know about it. This is where you have to take control of your online reputation. You just can’t ignore the comments of your company, this won’t do any good to your company. So protecting the online reputation for any company is very essential. Online reputation management is the technique that you have to implement in such situation. It controls your online image and helps in growth of your business. It is an undeniable fact that you cannot please anyone even if you offer impeccable products and services. There will be some people who will give negative rating or review online. So you have to be careful with that. How does Online Reviews Affect the Businses? Positive reviews will make the customers trust a company more. 73% of people are affected by the positive reviews that have been posted online. To simply put it, the ORM has the capability of increasing or decreasing the revenue of a company, be it a small company or a big one. The word of mouth spreads among the people very easily. Social media is one of the great examples that depicts how a word of mouth spreads among the people. The customers can leave a five star rating or a one star rating for your business in some simple clicks. 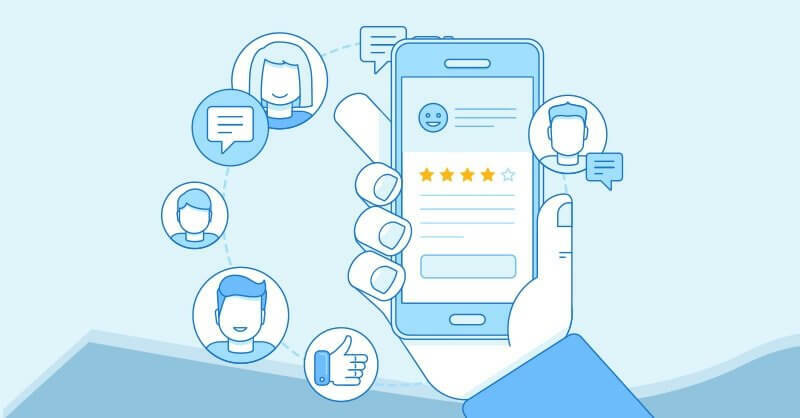 These reviews can be given based upon your performance, customer service, the quality of products and services, etc or even just because they are bored sometimes, so it depends upon you to save the reputation of your company online by doing everything you can. The word of mouth is like a fire which can damage your business a lot so make sure that you stop the word in the roots only. You may die but your reputation online won’t. Yes, this is a fact that you have to accept. If something goes online, there is no way that you can bring that down. So you have to be utmost careful when it comes to online reputation. You and your business are what people say you are, you cannot just talk great about yourself in the public. A simple comment like bad product or scam can affect the company forever. The only way a company can counter attack such comments is by maintaining a good reputation online. There are many reputed companies out there who will offer online reputation management service. It is better to approach the company and get all the things sorted out before its too late. The online reputation management services have the capability to make all the things right so you just work hard from your side to get the reputation that will increase the sales of your company. Online reputation management is a necessity for any company so put your maximum efforts in this process. Make sure that your company has a commendable reputation online. There are many tools available online and strategies that you can develop which you can be used to protect your reputation and drive in the necessary potential customers.